The BT86x series of UART HCI modules leverage the Cypress CYW20704 A2 chipset to provide exceptionally low power consumption with outstanding range for OEMs needing both Classic Bluetooth and Bluetooth Low Energy support. The Bluetooth 5 core specification shortens your development time and provides enhanced throughput, security and privacy. 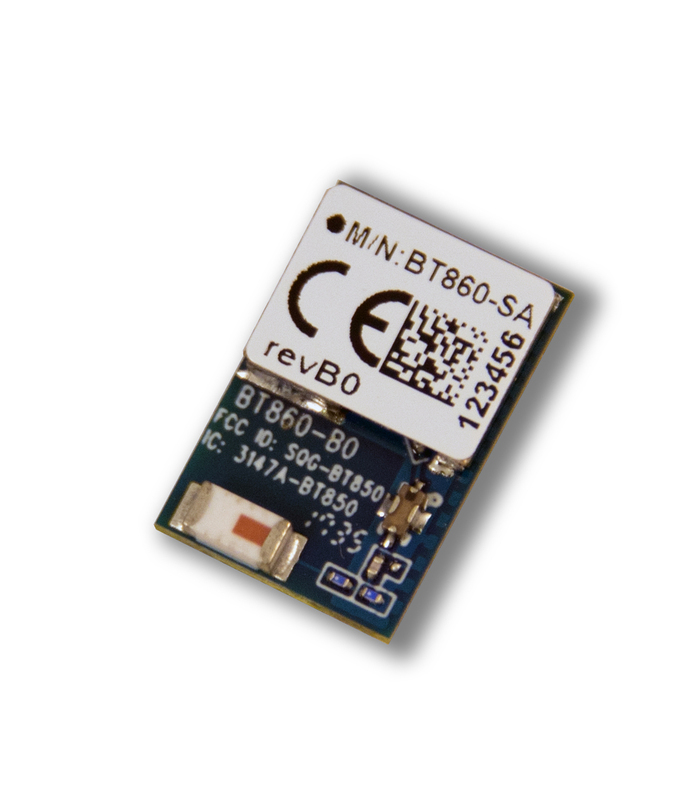 The BT860 modules are ideal when designers need both performance and minimum size. For maximum flexibility in integration, they support a host UART interface, I2S and PCM audio interfaces, GPIO, and Cypress' GCI coexistence(2-Wire). The modules provide excellent RF performance and identical footprint options for integrated antenna or an external antenna via a trace pin. 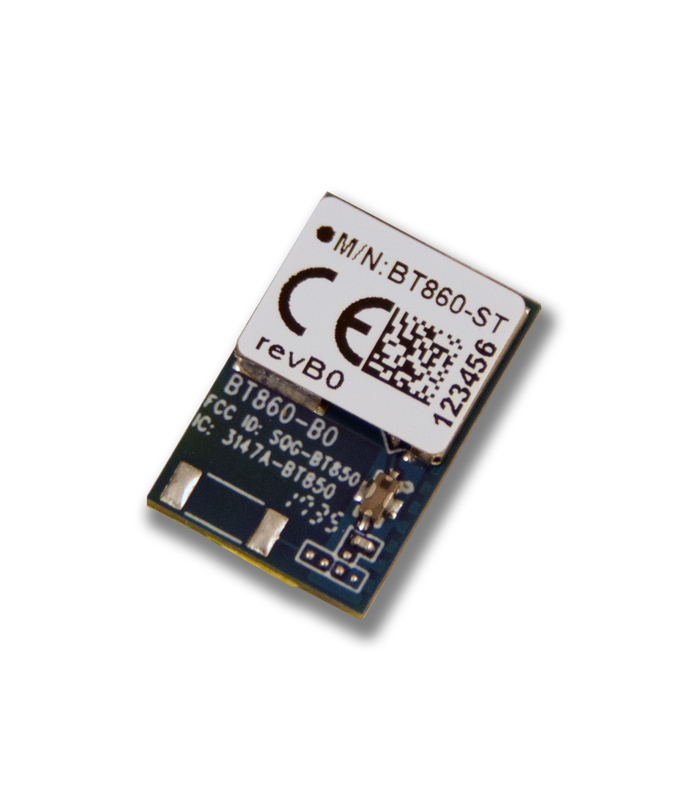 These modules present a Bluetooth standard HCI interface with support for Linux / Android and Embedded Bluetooth software stacks for operating system backed devices. Additionally, Laird has partnered with SEARAN for support of their ultra small, flexible ‘dotstack’ platform for embedded Cortex M3 and M4 implementations. 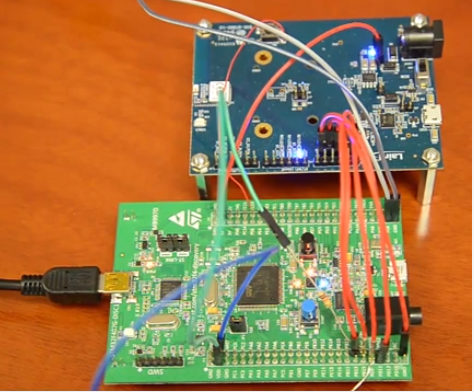 Learn how to connect SEARAN's STM32F discovery board to drive Laird's BT860 BLE module, create a Bluetooth A2DP connection to your tablet and run a throughput test.